New findings have revealed that the market open price of petrol has hit N160 per litre. This is as a result of the landing cost that is within the region of N138 per litre. The Guardian, at the weekend gathered that the upward movement of the price was informed by the rise in the price of crude oil at the international market. With the new development, the Nigerian National Petroleum Corporation (NNPC), which has now assumed the status of sole importer of petrol into the country pays about N750million daily on subsidy of petrol as the price modulation introduced in May last year finally crumbled. NNPC pays additional N15 per litre on every litre of petrol as the national consumption figure hits 50 million litres during the yuletide period. However, this consumption figure is expected to lower to around 45 million litres from February. In his reaction to the pricing of petrol, the General Secretary of the Nigeria Labour Congress (NLC) and member of the Petroleum Products Pricing Regulatory Agency (PPPRA), Dr Peter Ozo-Eson, said labour would oppose any price increment. He said: “Our position is very clear. We are opposed to a policy that allows this kind of price increment to take place. We also believe that government can still reverse itself by returning to the managed system until domestic refineries are sufficiently working. On whether labour is advocating a return of subsidy, Ozo-Eson, said the option is for government to take. On his part, the Director General of the Nigeria Employers Consultative Association (NECA), Olusegun Oshinowo said Nigeria is living a lie. “We are caught between economic imperative and political expediency. Government had earlier come out to say that it has deregulated the downstream sector. Our own understanding of that is that the entire products in the downstream would now be subjected to the dictate of free market,” he said. Oshinowo also observed that Nigeria is tending towards regulation again and that would not augur well for the economy. Oshinowo, who is a member of the PPPRA board, said the agency has not been given the freehand to operate. The NECA Scribe declared that the agency must tell the nation what it is presently spending on fuel subsidy, as it has assumed the sole importer of petrol once again. He explained that the PPPRA should set the template on a regular basis, taking into account appropriate variables and review the template, as soon as any of the variables change. Vanguard - The Nigerian National Petroleum Corporation, NNPC, yesterday, named Wale Tinubu’s Oando, Toye Cole’s Sahara Energy Resources, Sayyu Dantata’s MRS Oil and 36 other companies as winners of the crude oil term contract, for the purchase and lifting of 1.306 million barrels per day of Nigeria’s crude oil for 2017/2018, effective January 1, 2017. NNPC, in a statement in Abuja, said that the 39 successful bidders comprised 18 Nigerian companies, 11 international oil traders, five foreign refiners, three National Oil Companies, (NOCs) and two NNPC trading arms. According to the corporation, all the contracts are for 32,000 barrels per day except Duke Oil Ltd, an oil trading arm of the NNPC, which shall be for 90,000 barrels per day. Group General Manager, Crude Oil Marketing Division, COMD, of the corporation, Mr. Mele Kyari, said that the contract will run for one year effective January 1, 2017 for consecutive 12 circles of crude oil allocation. The other Nigerian companies are: Sayyu Dantata’s MRS Oil and Gas, Uche Ogah’s Masters Energy, Alhaji Auwalu Rano’s A.A. Rano Nigeria Ltd, Oladimeji Edwards’ Hyde Energy, and Uju Ifejika’s Britania-U. The list also include North West Petroleum and Optima Energy, AMG Petroenergy, Arkleen Oil & Gas Ltd, Shoreline Ltd, Emo Oil, Setana Oil and Prudent Energy. The International oil traders are Trafigura, ENOC, BP Trading, Total Trading, UCL Petro Energy, Mocoh Trading, Trevier Petroleum, Heritage Oil, Levene Energy, Glencore and Litasco Supply and Trading Company. In the government-to-government category, the companies are India Oil Company, Sinopec of China and Saccoil of South Africa, while the two NNPC subsidiaries are Duke Oil and Carlson Hyson. A total of 224 bids were submitted by companies seeking to purchase and lift Nigerian crude oil grades for the period 2017/2018. During the bid opening in November 2016, Group Managing Director of NNPC, Mr. Maikanti Baru, had assured the public that NNPC would ensure due process, transparency and fairness in the selection process. “We will ensure transparency and fairness in the process. 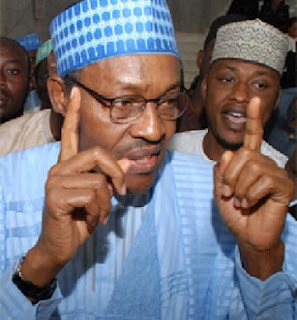 There is nothing that is hidden just as you have seen today,” Baru had stated. Baru had also disclosed that the number of companies bidding dropped from 278 in 2015/2016 to 224 at present, due to the strengthening of the criteria for prospective bidders. He said NNPC was targeting crude oil refiners, big oil traders, as well as companies that had made substantial investments in the Nigerian oil and gas industry, particularly in the downstream sector. Baru further stated that the huge number of bidders, despite the stringent conditions, was an indication of the fact that Nigeria’s crude oil grades were in high demand across the globe. He said: “There have been speculations that we are struggling for market. That is not true. Nigerian crude has continued to earn premiums and they are hot cake for refiners. Because of the light nature of the crude, it induces very high yields on the valuable products that you produced from crude oil. Nigerian crude continues to maintain market. 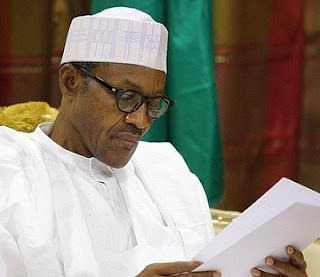 Despite threats and renewed bombing of Nigeria National Petroleum Corporation, NNPC pipelines by news militant group, Niger Delta Avengers, President Muhammadu Buhari will on Thursday 2nd, June 2016 visit the troubled Niger Delta region on Thursday, Guardian Newspaper says. 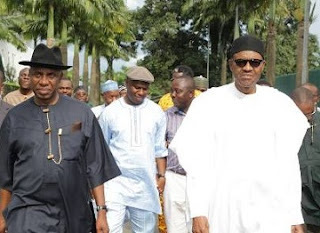 The visit will be Buhari’s first to the South-South region since becoming the president on May 29, 2015. He was scheduled to visit Cross Rivers but the trip was cancelled. 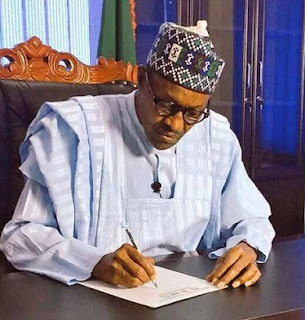 A media aide to Buhari said the president would travel to Ogoniland in Rivers state to flag off a long-awaited clean-up of the area, which has been affected by oil spills. “All things being equal, the president will be in Ogoniland on Thursday for the historic clean up of the area,” the aide told AFP. In August 2011, a United Nations Environment Programme (UNEP) report said Ogoniland may require the world’s biggest-ever clean-up. Niger Delta Avengers (NDA) has carried out several attacks on key pipelines and facilities operated by Shell and Chevron, causing oil production to slump to 1.4 million bpd from 2.2 million. Buhari had pledged in his address on the occasion of his first anniversary as the president to ‘re-engineeer’ the amnesty programme for repentant former militants and engage leaders from the region in productive dialogue to proffer solutions to the region’s many problems and stem down the spate of attacks on oil installations. He said, “On the Niger Delta, we are committed to implementing the United Nations Environment Programme report and are advancing clean-up operations. I believe the way forward is to take a sustainable approach to address the issues that affect the delta communities. He also pleaded with the leadership of the National Assembly on Monday to see to the quick passage of the Niger-Delta Development Commission Budget Bill. The above is a quote excerpted from the Minister of State for Petroleum, who also doubles as the Group Managing Director of Nigeria National Petroleum Corporation, NNPC on a live television programme on ChannelsTv, Sunrise Daily, monitored by News Punch earlier today. Dr Ibe Kachikwu, has assured Nigerians that pump price of premium motor spirit (PMS) otherwise called petrol, will fall drastically in the next six months. The Federal Government had announced an end to subsidy regime and capped pump price of petrol at N145 per litre. During the interview, Kachikwu said; "if you do a price review after six months, you will be amazed at how low the price would have become. We expect the prices to go down because we have provided an opportunity for people to take advantage of government liberalisation policy of the downstream sector and eliminate inefficiencies and losses." When asked about the reason for the government to have fixed the pump price of petrol in a deregulated market, he explained that "the intention of the government was to achieve what was achieved in diesel by allowing everybody to be able to bring in products and promote competition." "However, we want to make sure that at the initial stage marketers do not take undue advantage of the situation. That's why we said nobody should sell above N145 per litre. "If you look at consumption of diesel, it is not as competitive as petrol. What we have done is an upper cap, but we have not told them what price to sell. We expect that efficiency and market forces will determine their pieces. "You know we have a price band of N135 to N145 per litre, but reality is that those are guideline prices," he said. Furthermore, he stated that other factors that may affect pricing include sources of foreign exchange, level of efficiency and how much a marketer is investing in logistics like storage and distribution. 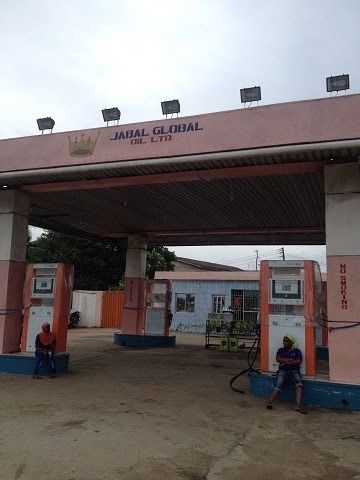 When asked if the government has put measures in place to check marketers who may want to sell at above price cap of N145 per litre, he stated that he expects competition to bridge the gaps and eliminate abnormal profit. Furthermore, he stated that "the difference you saw during the previous price regime of N87 per litre is just what we are trying to address because of arbitrage." "The individuals that bought NNPC products and sell at other prices will now start buying their own products and sell on their own. Even NNPC retail stations will sell at competitive prices. "Within six months, you will be seeing differentials of N1 to N2 per litre but as you go into interlands, NNPC will tend to be selling at between N120 to N130 per litre. "Refineries will also become competitive. Refineries have not worked efficiently in the past because petroleum products are largely subsidized. Nobody wants to invest in refineries and at the end of the day, the government bears the brunt. "We will sell the little a produce which is less than 10million per day and we will well at competitive prices," he said. The Nigerian National Petroleum Corporation (NNPC) Friday announced new appointments, redeployments and secondments into key positions as part of the recent reorganisation of the Corporation. Following the restructuring of the NNPC into seven new divisions, the following individuals were appointed as GEDs/COOs to man the new divisions: Bello Rabiu, Upstream; Henry Ikem Obih, Downstream; Anibor Kragha, Refineries; Saidu Mohammed, Gas and Power; Babatunde Adeniran, Ventures; Isiaka Abdulrazaq, Finance & Accounts while the Corporate Services division will be headed by Isa Inuwa. Those affected by the reorganisation include former GED Exploration and Production Dr. Maikanti Badru who is now on secondement to the ministry of petroleum resources as Technical Adviser Gas while Engr Nnamdi Ajulu former GED Refining and Technology is now Consultant Refinery and Infrastructure in the petroleum ministry. In the new structure, the Group General Managers, Strategy and Execution, who will support the GEDs and COOs include: Surajdeen Afolabi, Downstream; Ugochukwu Afamefuna Vitalis, Refineries ;Yusuf Matashi, Gas and Power ; Ladipo Fagbola, Ventures; Ahmadu Sambo, Finance and Accounts; and Modupe Bammake, Corporate Services. The Strategic Business Unit Heads are: Upstream: Roland Ewubare-MD IDSL; Downstream: Esther Nnamdi-Ogbue-MD Retail, Ahmed Farouk-MD Nigeria Petroleum Marketing and Dalhatu Makama-GGM Marine Logistics. Refineries: Bafred Enjugu-MD PHRC, Adewale Ladenegan- MD WRPC and Idi Mukhtar-MD KRPC. Others are: Gas & Power: Samuel Ndukwe- MD Gas & Power Investments, Mazadu Bako- MD NGMC and Babatunde Bakare-MD NGPTC. Ventures: Danny Sokari George-GMD Properties, Saidu Abdulkadir-MD Shipping, Aliyu Sikiru- MD NETCO, Lawrencia Ndupu- MD NOFS, Rabiu Suleiman-GGM RED/Frontier Exploration Services and GGM Medicals is now Oyetunde Olubunmi Oyekan. The former GGM Public Affairs Division, Mr. Ohi Alegbe was redeployed to the Corporate Social Responsibility (CSR) unit which will be under the GMD's office. President of the Nigerian Guild of Editors, Mallam Mohammed Deen Garba is now the Group General Manager, Group Public Affairs Division. The new unit heads are expected to resume fully by April 1st 2016. The nation's oil workers may have sheath their sword by calling off the strike embarked upon bare 24hour later in protest of the unbundling of the Nigeria National Petroleum Corporation, NNPC. The workers under the umbrella of NUPEN and PENGASSAN declared the industrial action at the early hour of yesterday follow an alleged unilateral decision of the Federal Government to unbundle the nation's petroleum company. Consequently, the Corporate headquarters of the state oil firm in Abuja has been reopened for operations. "There was a very high powered committee (meeting) set up by the president and minister of petroleum resources which started at about 8(pm). We did not finish until 4:30 this morning"
Asked some of the resolutions reached at the meeting, he said "the union has to be involved in the process of restructuring and a committee is going to be set with a union representative to review the restructuring"
He said of the committee, "It is a continuous process. In the implementation the union must be carried along." Our reporter gathered that normal official activities resumed at the towers this morning. An employee of the Corporation who spoke to our reporter on phone said he reported for work by 7:00am Thursday morning and that normalcy has returned. Ibe Kachukwu, the Minister of State for Petroleum, assured them that there was no unbundling of NNPC, stressing that, what was happening was a restructuring. “We have not unbundled NNPC. We had a press conference yesterday where I explained this,” Kachikwu said. “What we have simply done is reorganisation. We have five business entities focused on business- Upstream, Downstream, Refineries, Gas and Power, that are there before. “There is also ventures that capture all our little companies that were not having proper stewardship. “They are run by individuals who report to the GMD. The NNPC is still a whole. There is nothing new that has happened. “I have tried to explain this and I am sure the NNPC workers are members of the family, they will understand. “We are going to have a meeting, and they will be made to understand. Perhaps the engagement has not been good enough. 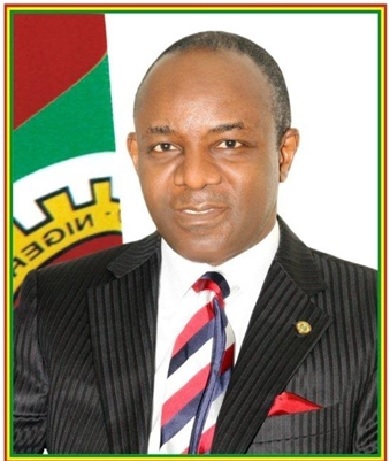 “NNPC has not been unbundled in the sense of breaking up NNPC into distinct institutions. I am concerned. “I don’t want the industry shut down. I am sure we are going to resolve the issues very soon,” he further explained. Oil workers under the umbrella of the Petroleum and Natural Gas Senior Staff Association of Nigeria (PENGASSAN) Wednesday morning shut the Corporate Headquarters of the Nigerian National Petroleum Corporation (NNPC) in Abuja to protest the restructuring of the state oil firm. Minister of State for Petroleum Resources, Dr. Ibe Kachikwu, last night at a press briefing in Abuja announced that President Muhammadu Buhari had approved the restructuring of the NNPC into seven new divisions explaining that under the new structure, NNPC will have five core new divisions comprising the upstream, downstream, refining group, gas and power, as well as the ventures’ groups, among others. But the oil workers say they are aggrieved because they were not carried along in the entire process. The main entrance to the Corporation was blocked early Wednesday morning. Staff of the NNPC and its subsidiaries located in the towers were turned back by the protesting union members. Our reporter gathered that staff who learnt about the protest stayed back home while those on their way turned back on hearing from colleagues about the protest. "I came as early as 7:00am but was denied access, therefore I am going back home," a staff told our reporter. One of the union members who spoke to our reporter on the condition of anonymity said they will prevent even the Group Managing Director of NNPC from the tower until the grey areas are sorted out. He said the shutdown will be nationwide. The workers are scheduled to brief the press on the protest on Wednesday afternoon.